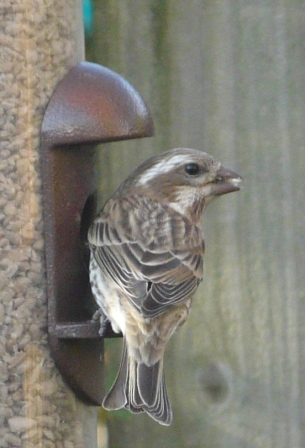 Note the very distinctive stripes on the head and the slightly forked tail. The size of the overwintering population here varies considerably. The food supply available in the northern coniferous forests seems to determine how many we get. In hard years, we're swamped with them; in other years, we have none. This one is a female. Males have a purple wash over their head. This entry was posted in Archosaurs on November 3, 2011 by David George Haskell. Lovely photo. I’ll be on the look out for them. They seems so much nicer than the ticks!